With an influx of new warehouses, regional officials are increasingly focusing on connecting these facilities to public transportation. 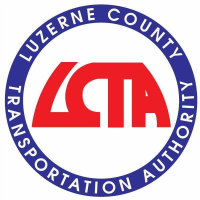 Luzerne County Transportation Authority Executive Director Norm Gavlick pointed to the CenterPoint Commerce and Trade Park in Jenkins and Pittston townships as an example, saying planning is underway for a new transfer station on Route 315. 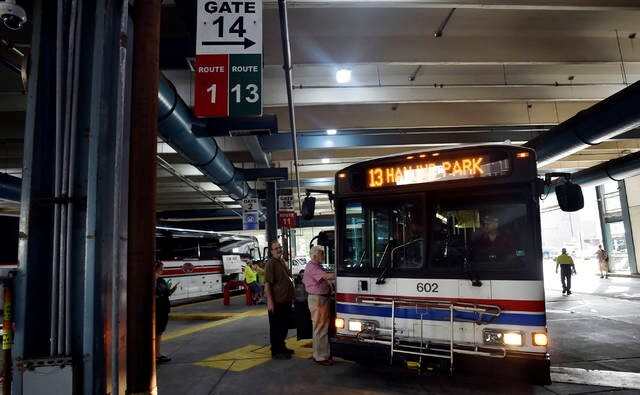 A small-scale version of an intermodal center, the station would beef up existing bus runs by allowing more frequent and direct connections for park workers who reside in both the Wyoming Valley and neighboring Lackawanna County, Gavlick said. In addition to the center, bus shelters would be set up throughout CenterPoint if Mericle Commercial Real Estate, the park’s developer, pursues and obtains a state Department of Transportation grant as expected, said Gavlick, who is assisting with the submission preparation. To fulfill a required 30 percent local match, Mericle may provide land for the transportation enhancements and link them with a network of trails for workers who want to walk and bike, Gavlick said. CenterPoint has 49 tenants employing nearly 6,000. Gavlick’s authority also has worked with the County of Lackawanna Transit System, known as COLTS, to synchronize fares and bus passes for riders accessing both county systems. The demand for public transportation also has increased at the Hanover Industrial Estates in Hanover Township, largely due to the addition of online pet-supply retailer Chewy.com, Gavlick said. “Our route that services Chewy’s is already standing room only at shift-change time in the morning and afternoon,” said Gavlick. Transportation authority representatives are meeting regularly to study options to increase busing and “stay ahead of the curve,” particularly with the upcoming arrival of athletic apparel maker Adidas and outdoor clothing company Patagonia Inc. near Chewy.com, Gavlick said. Missouri-based NorthPoint Development, which handled this project, said the three buildings are part of a total 5.3 million square feet of new similar commercial construction it plans in Hanover Township and Nanticoke. One possibility under consideration is for employers to help fund and support additional pilot routes through workforce promotional campaigns and bus fare payroll deductions, he said. If ridership remains high, the routes would become permanent with no private subsidy required. “We have several possible programs like this in the works,” Gavlick said. County council also voted last month to seek a $400,000 state multimodal transportation grant to help fund sidewalks and bus shelters along county-owned roads in the Hanover Industrial Estates, including New Commerce Boulevard. No bus shelters are located in the industrial park, which contains 70 businesses employing approximately 4,000, the county administration said. If approved, the county would use Liquid Fuel funds to cover the $120,000 local match, council said. Observing a need, Ralph Sharp said he started weekday bus routes to the Humboldt Industrial Park in 2013, a year after he became director of the Hazleton Public Transit, which serves the Hazleton area. Running for 5 miles along Route 924 in Hazle Township, the massive Humboldt park has nearly 60 industries and more than 10,000 employees. Sharp said the Humboldt runs are timed to coincide with the daytime first- and second-shift schedules of the employers. There are four, round-trip runs from the Church Street Station in downtown Hazleton to Humboldt between 5:20 a.m. and 7:45 a.m. and five runs between 12:05 p.m. and 5:15 p.m., Sharp said, noting the buses stop along routes to pick up people who flag them and drop off riders who pull a cord. He has not received requests from Humboldt employers for overnight runs, saying projected ridership must be high to add new routes. “As of right now, we found the existing runs are sufficient for the supply and demand at Humboldt,” Sharp said. He also added two daily runs from Hazleton to Wilkes-Barre, all days except Sunday, traveling on Route 309 with stops at the Wyoming Valley Mall in Wilkes-Barre Township, the Mohegan Sun Pocono Casino in Plains Township and Public Square in downtown Wilkes-Barre, Sharp said. Departures from Hazleton are at 8:30 a.m. and 1 p.m.
Gavlick said some Hazleton-area business leaders in recent months have encouraged pursuit of a merger with Hazleton Public Transit so his authority could handle public transportation countywide, thinking it may increase service. The push stems largely from interest in drawing Wyoming Valley residents to employers in Humboldt, Gavlick said, noting the runs also could bring Hazleton-area residents to work in the county’s northern half. Gavlick also believes some southern county employers are interested in his authority’s increasingly innovative approach, such as plans to launch evening bus service this year that will include routes with stops at Hanover Industrial and CenterPoint. If county and Hazleton officials become interested in pursuing a consolidation, Gavlick said he will support it because he believes a countywide system could be more efficient and comprehensive. “It could turn out to be better for the lower end of the county having one system,” Gavlick said. Hazleton officials resisted when consolidation was last discussed in 2013, arguing it would not save money or improve the quality of service in the southern half. A branch of city government, Hazleton Public Transit owns 12 buses and employs four, including one part-time employee, but it relies on outside contractors to fuel, drive and maintain the vehicles, Sharp said. The department does not receive any city funding and has no union contracts. Sharp and Hazleton Mayor Jeff Cusat said last week they do not believe a merger would benefit southern county residents. The county authority is free to start runs from Wilkes-Barre to Humboldt if it determines there is a demand, Sharp said. The plans to increase bus service at CenterPoint should be firmed up in several months, said Jim Cummings, Mericle Real Estate’s vice president of marketing. The company plans to build approximately 25 more buildings at the park in coming years, and expansive public transportation is important to current and prospective employers at CenterPoint and other industrial parks, he said. Mericle also has buildings at the Humboldt and Hanover parks. “Mericle is certainly willing to do its part to improve bus service,” Cummings said. Providing transportation access to unemployed workers without vehicles is important because the region is “not immune to the tight labor market,” he said. Warehouses, often called fulfillment centers, have increased along the Interstate 81 corridor passing through this region due to the rise in e-commerce and proximity to major metropolitan areas, he said. “Anything we can do to recruit workers is better for employers and our communities,” Cummings said.